As rules to boost fuel economy and lower carbon emissions in vehicles around the world continue to stiffen, acronyms like EREV, CNG, and MPGe are becoming more and more common. Ever wonder what they all mean? To help you in your journey, our glossary is divided into categories: Vehicle Types, Drivetrains, Emissions, Fuels, and Energy Storage. This glossary is by no means comprehensive as new acronyms seem to appear on a daily basis. Think of it as a starting point, and feel free to add comments about terms we may have missed. EDITOR'S NOTE: We originally published this article in June 2013. Four years later, correspondence with reader John Murray prompted us to revise and update it. BEV: Battery Electric Vehicle. A BEV is not a hybrid; it does not have an internal combustion engine (or ICE) and it relies solely on electric power, supplied by a battery pack. Because BEVs aren't powered by gas, they have zero emissions. The biggest drawback to early pure electric vehicles has been their limited range, which created a significant perceptual barrier for North American buyers. 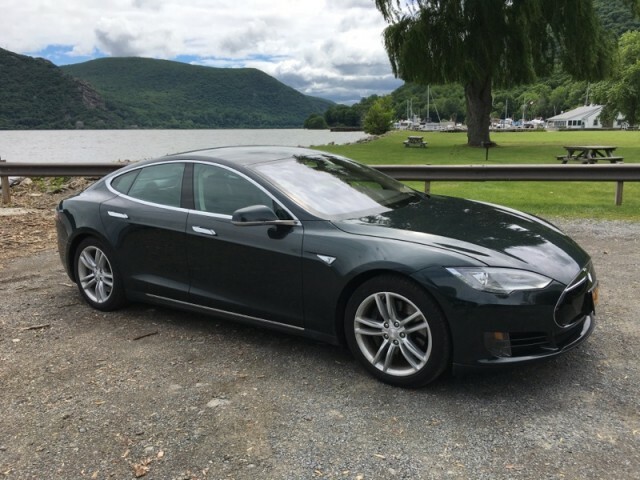 The first generation of electric cars from 2011 to 2015 had ranges of 60 to 90 miles, except for the Tesla Model S at more than 200 miles. Now, less pricey longer-range cars are hitting the market, specifically the Chevrolet Bolt EV at 238 miles. The range of battery-electric vehicles can be dramatically affected by the weather, cold weather in particular. Most BEV manufacturers have built in heaters and cooling systems that keep the battery within a specific temperature range while the car is being charged. HEV: Hybrid Electric Vehicle. A hybrid is a car or truck with a standard gasoline-powered engine that also has a high-voltage battery and an electric motor, both of which supply additional power to the vehicle's drivetrain. All hybrids share the goal of reducing the amount of gasoline used by the vehicle and lowering its emissions, but they tend to go about it in different ways. 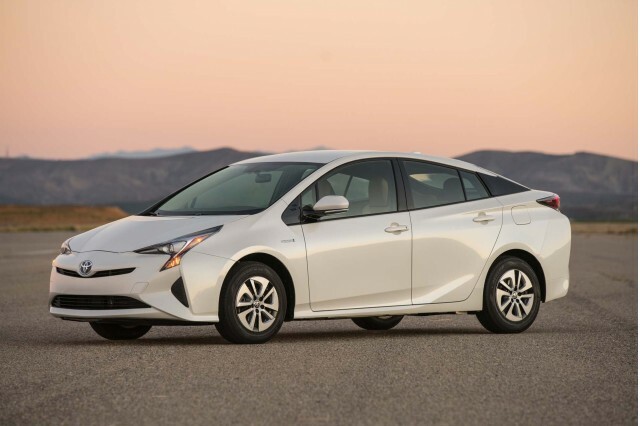 The Toyota Prius is the highest-selling (and best-known) hybrid vehicle; it's now in its 21st model year. Mild Hybrid: This is a type of hybrid that cannot be driven on electric power alone, even for a short distance. Honda and GM were the pioneers here. Now virtually every maker will start to fit the latest generation of mild hybrids to at least some models. The newest type of mild hybrids are known as "48-volt mild hybrids," effectively advanced start-stop systems that provide additional functions beyond restarting the engine. Mild hybrids have only one electric motor-generator, while"full hybrids" may have one (Audi, BMW, Hyundai, Kia, Mercedes-Benz, Volkswagen, and others) or two (Ford, General Motors, Honda, Toyota). 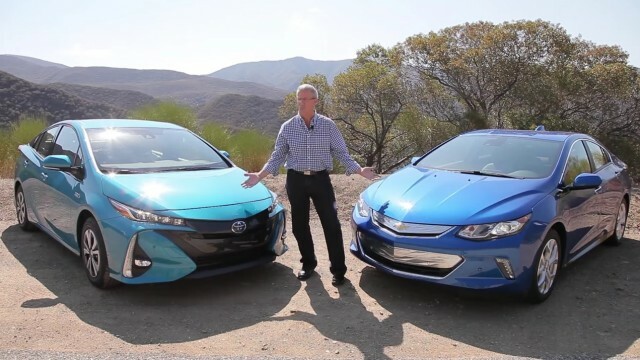 PHEV or PHV: Plug-in Hybrid Electric Vehicle or Plug-In Hybrid Vehicle. Plug-in hybrids are conventional hybrids that have been modified by enlarging their battery packs and adding the ability to recharge those batteries by plugging them into wall current. Today, the first plug-in hybrids were offered by Ford, Honda, and Toyota, and there will likely be several more in future model years. 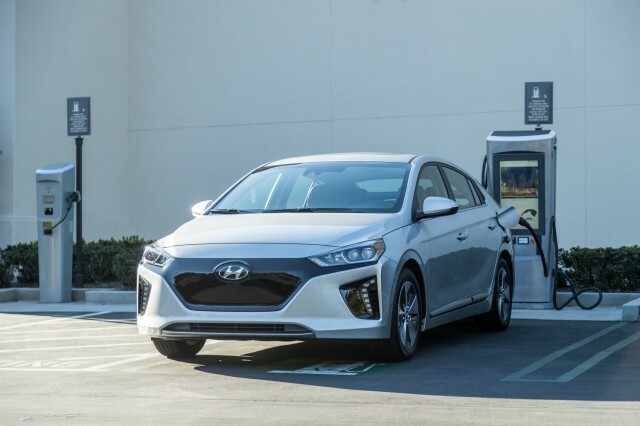 Plug-in hybrids have rated ranges of 12 to 97 miles on electric power only, though some deliver continuous electric driving only under gentler conditions than most drivers today may be used to. Once their battery packs are depleted, they revert to operating like regular hybrid cars. Over the years, for simplicity, the convention has turned toward lumping EREVs with plug-in hybrids (which are themselves confusing enough for novice buyers to understand, we should note). Unlike PHEVs, which may switch on their engine at any point if power demand is high, an EREV stays all-electric under every circumstance until its battery is depleted. Then its engine switches on to run a generator that provides energy to turn the wheels. 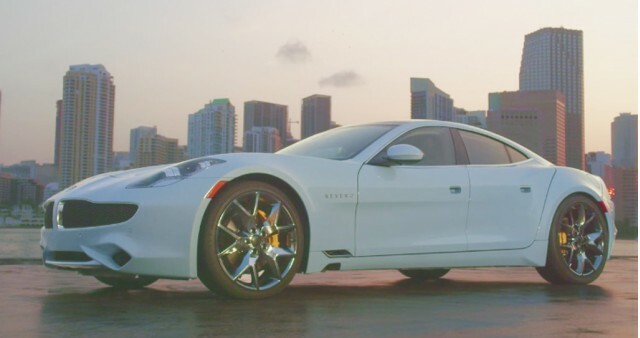 The best-known extended-range electric car was the first-generation Chevrolet Volt; the only other such cars offered for sale have been the 2012 Fisker Karma (now the 2017 Karma Revero), and the BMW i3 REx (range-extended), which remains on sale today. The area of electric-car charging has its own, remarkably arcane language for referring to different types of charging. Every electric car comes with a charging cord that lets it recharge from conventional wall sockets in the country where it was sold. That's the slowest way to recharge. Level 1 charging: The slowest type of recharging, which may take up to a full 24-hour day in electric cars with larger battery packs. In North America, Level 1 charging uses electricity from a conventional wall socket at 120 volts. Level 2 charging: This type is faster because it uses higher voltage, 240 volts in North America, and runs at up to 50 amperes of current. Home charging stations use this standard, as do most longer-term (more than 30 minutes) public charging sites. J-1772 connector: This is the name of the standard plug and socket used for Level 1 and Level 2 charging in all electric cars sold today in North America except Teslas, which offer a J-1772 adapter. DC fast charging: This is the fastest way to recharge an electric car, usually bringing the battery back to 80 percent of its capacity in 30 to 60 minutes. (Note it's sometimes incorrectly called "Level 3," but that's not an internationally adopted standard.) There are three incompatible connectors for fast charging today, though a few converters exist between some of the pairs. CHAdeMO: One of two internationally accepted DC fast-charging standards, it was developed in Japan and used primarily in North America by the Nissan Leaf, as well as the Mitsubishi i-MiEV and the Kia Soul EV. Combined Charging System or CCS: Also known as "SAE Combo," this is the standard used by all German makers and all U.S. makers except Tesla. It's an expansion of the J-1772 plug used for Level 1 and Level 2 charging, rather than an entirely separate connector as CHAdeMO is. Hybrid vehicles generally use one of three different methods for supplying power to the wheels. BAS: Belt Alternator/Starter - A parallel system used by mild hybrids that provides some fuel savings (not nearly as much as a full hybrid) at a relatively low cost. BAS systems use a large alternator connected by a serpentine belt to the crankshaft. This allows the gas engine to stop and then quickly restart (at stop lights for example) and also provides some assistance to the gas engine for moving the car. The main seller of such systems has been General Motors in a variety vehicles across three generations of the system. Parallel Hybrid (also known as "blended" HEV). Parallel hybrid electric vehicles use a drive system where one or two electric motor-generators and a gasoline engine can send power to the drive wheels in combinations carefully optimized by the powertrain control electronics. Virtually all hybrids use blended systems. Series Hybrid, also known as Range-Extended Electric Vehicle (see above). A series-hybrid vehicle uses only the electric motor to power the wheels; the gasoline engine serves as a back-up. When the battery is depleted, the gasoline engine switches on to run a generator that in turn supplies power to the drive wheels. The Chevy Volt is the best example of a series hybrid, but there's an asterisk there: Under some circumstances, engine output can be diverted from the generator to power the front wheels directly. 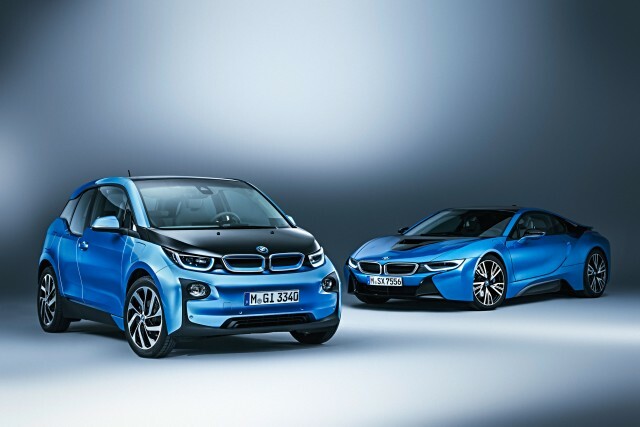 The BMW i3 REx, on the other hand, has no mechanical connection at all between its engine and drive wheels. Nor does the Fisker Karma (now Karma Revero). Series hybrids have been used for decades in boats and trains. Most of the acronyms definitions below come courtesy of the Environment Protection Agency (EPA) and/or the California Air Resources Board (CARB). They apply largely to model years through 2017; classifications will be modified for 2018. 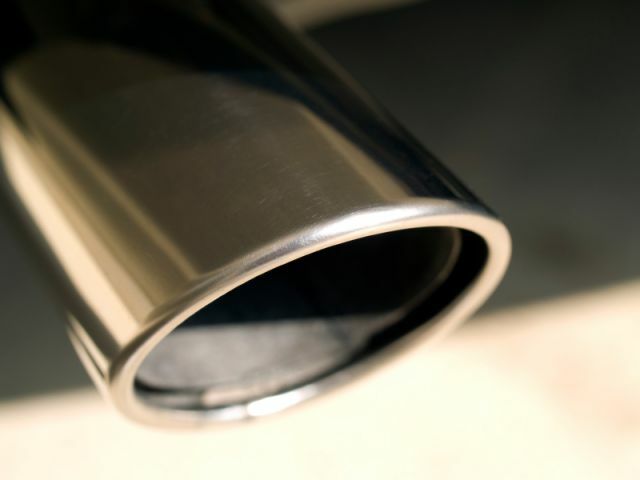 Vehicles manufactured for sale in California and the other states that have adopted its emissions rules often have longer warranties on emissions control equipment, and are manufactured to slightly different standards than the same vehicle sold elsewhere. California law also requires a lower sulfur content for gasoline sold in California. These rule variations mean a car that earns a Partial Zero-Emission Vehicle (PZEV) rating in California might be classified as a Super Ultra-Low Emissions Vehicle (SULEV) in another state. ULEV: Ultra-Low Emission Vehicle. This is a vehicle that meets the California Air Resources Board standard of 0.125 grams per mile of non-methane organic gas and nitrogen oxide (NMOG + NOx). Virtually all hybrids, and even some non-hybrid vehicles sold today, qualify as ultra-low emission vehicles according to the EPA. SULEV: Super Ultra-Low Emission Vehicle. To qualify as a SULEV, a vehicle must produce emissions 90 percent lower than an equivalent gasoline-powered vehicle. SULEV is a stricter standard than LEV (Low Emission Vehicle) and ULEV (Ultra-Low Emission Vehicle), but not as strict as PZEV (Partial Zero Emission Vehicle). 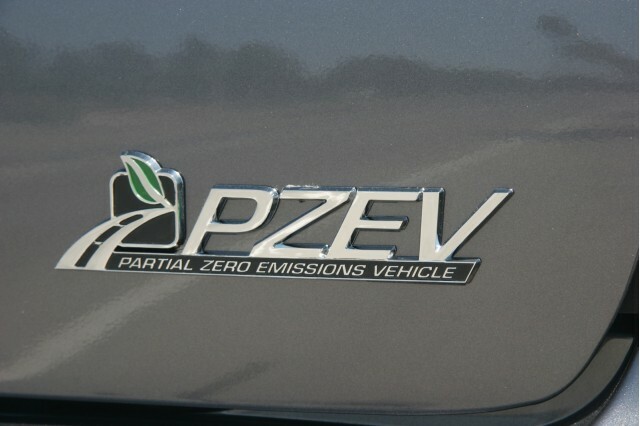 PZEV: Partial Zero-Emission Vehicle. PZEVs run on gasoline; by definition they must have zero evaporative emissions from their fuel systems and a 15-year (or at least 150,000-mile) warranty on emission system components. They don't necessarily provide higher gas mileage than other vehicles, but they are much cleaner. AT-PZEV: Advanced Technology Partial Zero-Emission Vehicle. A PZEV with the ability to run at least some of the time without emissions. 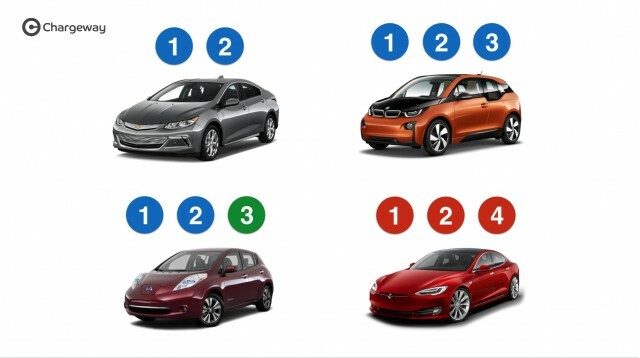 Most plug-in electric vehicles qualify as AT-PZEVs. ZEV: Zero Emission Vehicle. ZEV is both an emissions standard and a program of sales requirements in California. A standard ZEV produces no emissions from its on-board source of power. Battery electric cars like the Nissan Leaf, Ford Focus Electric, Mitsubishi i-MiEV, and Tesla Model S all qualify as zero-emission vehicles. So do hydrogen fuel-cell vehicles, most notably the Honda FCX Clarity sedan. MPGe: Miles per Gallon Equivalent. MPGe is a method used by the EPA to rate the efficiency of a non-gas powered car in terms familiar to gasoline drivers. It is simply the distance in miles that an electric or fuel-cell vehicle can cover on the same amount of energy--33.7 kilowatt-hours--that's contained in 1 gallon of gasoline. Because electric vehicles use energy much more efficiently than combustion-engine cars, their ratings are generally 80 to 125 MPGe. For 2017, the 2017 Hyundai Ioniq Electric is the most energy-efficient car sold in the U.S.: it has an EPA rating of 136 MPGe combined. HOV - High-Occupancy Vehicle: This is the formal term in bureaucratese for what's better known as a carpool, a vehicle with more than one person in it. Carpool lanes for multiple riders are known as HOV lanes; zero-emission vehicles get access to those lanes in California and some other states. Biodiesel - Biodiesel is a form of diesel fuel manufactured from vegetable oils, animal fats, or biological sources, including algae. It is a specific fuel formulation, and by its nature it has ultra-low sulfur content. It is safe and biodegradable but is more expensive to produce than petroleum based diesel fuel, with which it is often blended. Common blends include B2 (2 percent biodiesel), B5, and B20. Most of today's clean diesels are only warranted for up to B5, though some (including the new 2014 Chevrolet Cruze Diesel and a number of diesel heavy-duty trucks) can handle up to B20. The term "biodiesel" is also sometimes used to refer to recycled restaurant oils and greases. While older diesels from the 1970s through 1990s can be retrofitted to run on these as a fuel, modern high-pressure injection diesels cannot--and the fuels and automotive industries do not consider filtered fryer oil to comply with their specifications. 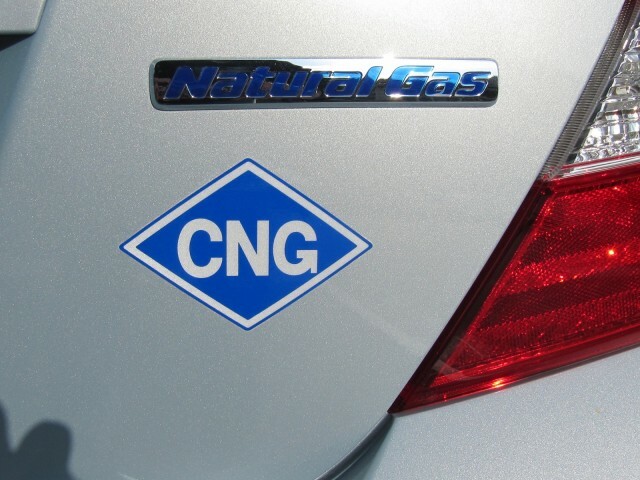 CNG – Compressed Natural Gas. Honda was the only manufacturer that offered a natural-gas passenger car sold to consumers, the Honda Civic Natural Gas (previously the Civic GX). While growing supplies of U.S. natural gas at falling prices led some to advocate for natural-gas-fueled cars, the fueling infratructure never emerged, and today there are only 950 natural-gas fueling stations in the U.S., of which fewer than half are open to the public. Natural-gas vehicles, often in the form of "bi-fuel" powertrains that can run both on gasoline and natural gas, remain confined to trucks and commercial vehicles in North America. 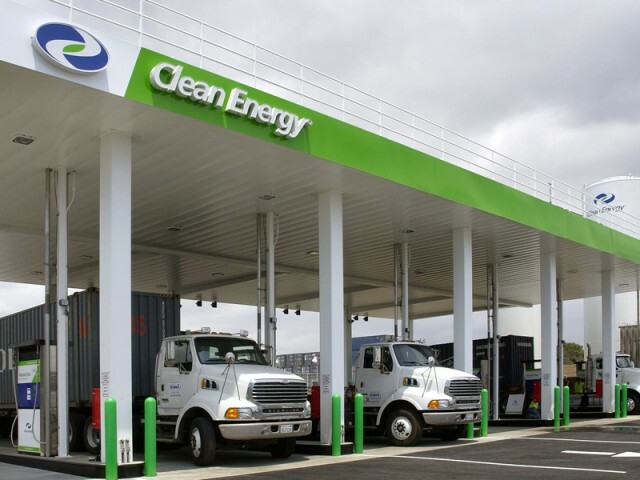 Clean Energy Fuels natural gas refueling station Long Beach, California. Ethanol -- A fuel refined from biological feedstocks: corn in the U.S. and sugar cane in Brazil. Ethanol is both blended into gasoline and sold on its own as vehicle fuel. It is more corrosive than gasoline, and engines meant to use more than 10 percent ethanol must have upgraded hoses, gaskets, and rubber parts. E10, or gas with 10 percent ethanol has been standard since the 1980s. The EPA has worked, against considerable resistance from carmakers and users of small engines not designed to handle ethanol at all, to get E15 into the fuel stream as well. That effort has been slow at best, and the cost of the necessary "blender pumps" for station operators hasn't helped. E85 is available in some parts of the U.S. and can be run only in "flex-fuel vehicles" offered by some Detroit makers, but few non-U.S. brands. LSD: Low Sulfur Diesel. The diesel fuel sold in most of the United States until 2010 could contain up to 500 parts per million (ppm) of sulfur, which qualified it as "low sulfur" compared to diesel fuel for non-road uses in farms, construction equipment, and marine vessels--which traditionally contained as much as 5,000 ppm. That high-sulfur diesel fuel is in the process of being phased out. ULSD: Ultra-Low Sulfur Diesel. This fuel has 97 percent less sulfur than low-sulfur diesel, no more than 15 parts per million of sulfur. As of 2010, 100 percent of the diesel fuel sold for vehicle use nationwide must be ULSD. This is what has enabled the latest generation of clean diesel vehicles, whose catalytic converters and other systems--to control nitrous oxides (NOx) and particulates--would otherwise be poisoned by the presence of sulfur. HFCV or FCV: (Hydrogen) Fuel Cell Vehicle. Fuel cells create electricity by combining hydrogen fuel with atmospheric oxygen to produce water vapor, heat, and the electricity that powers an electric motor to turn the wheels of an FCV. Disadvantages to fuel cell vehicles currently include high cost, and the need for a hydrogen fueling infrastructure that does not now exist. 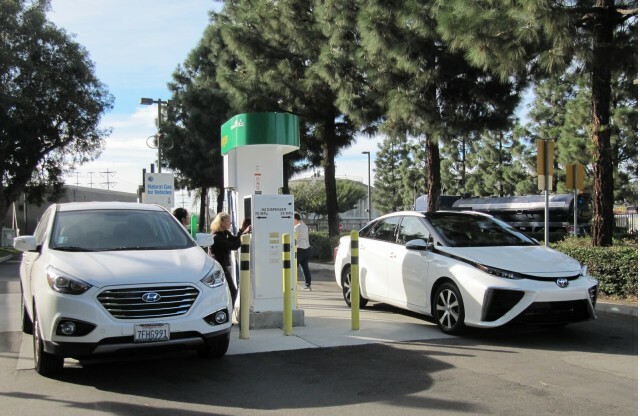 California now has 33 hydrogen stations, of just 37 throughout the U.S., and it is the sole state that has hydrogen-powered vehicles on the road today. The three makers offering fuel-cell vehicles today are Honda, Hyundai, and Toyota. Lead-acid (or PbA) batteries -- This is the chemistry used for traditional 12-Volt car batteries, first invented way back in 1859. The first generation GM EV1 electric car, released in 1996, used a battery pack consisting of 26 lead-acid batteries. 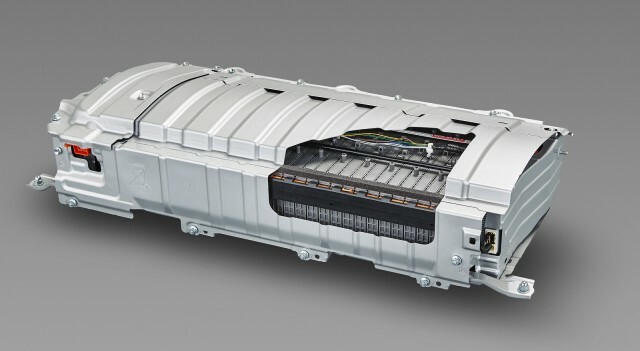 Lead-acid batteries aren't suitable for modern electric cars, due to their low energy density. 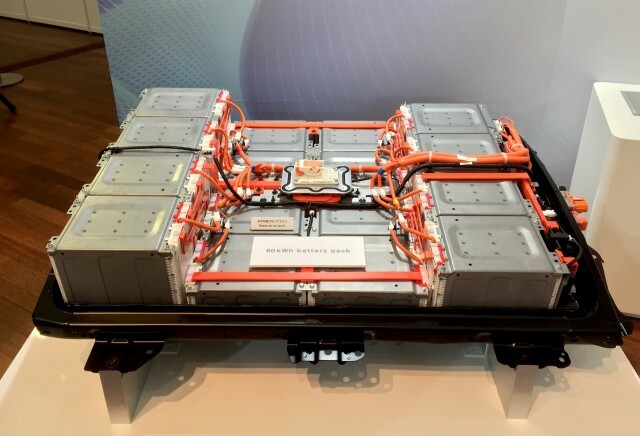 Nickel-Metal Hydride (NiMH) batteries -- Used by the second generation GM EV1 (1999-2002), NiMH batteries offer roughly twice the energy capacity of lead-acid for the same weight. They are not used in plug-in electric cars, but they're still fitted to the majority of hybrid cars--which are only slowly switching to lighter lithium-ion batteries. Lithium-ion battery (Li-ion or LIB) -- Virtually all plug-in hybrids and battery electric vehicles use Lithium-ion batteries. They offer roughly double the power-to-weight ratio of NiMH, or four times that of old-style lead-acid batteries. As more plug-in vehicles are developed, the cost of Li-ion cells is expected to decrease at perhaps 7 percent a year. We've undoubtedly missed a few terms, so feel free to leave your thoughts and suggestions in the Comments below. We'll go back and update this as necessary. Meanwhile, we hope you find it helpful. Sources for this article include, among others: U.S. Department of Energy, California Air Resources Board, Environmental Protection Agency, Green Car Reports, and Wikipedia.